Polyester Spiral Belt - Buy Polyester Spiral Belt Product on Hebei Reking Wire Mesh Co.,ltd. Features: breathe freely, easy to repair, smooth surface, long service life. 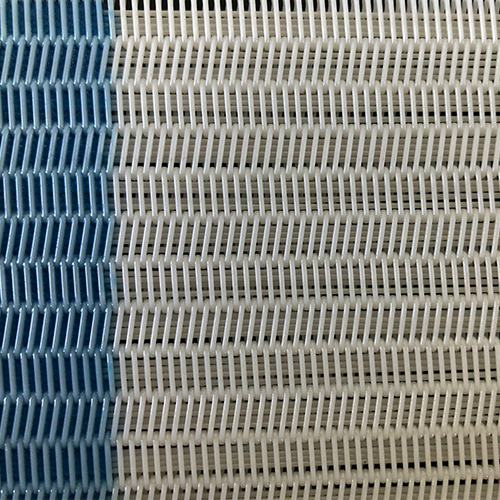 Polyester spiral mesh is also a monofilament polyester mesh but not like a woven fabric, instead this is a polyester mesh with spiral twisted wires where pins hold the spirals together like a chain. Most of the polyester spiral mesh is used within the dewatering industry to separate sludge from water within filter belt presses. But polyester spiral mesh belts are also used within the food industry to dry fatty milk and whey powders, or to separate (food) solids from liquids. Other applications and industries are chemicals, pharmaceutical, coal washing and paper pulp washing. The polyester spiral mesh can be equipped with or without filling wires which enables adjustment and customization of the air and liquid permeability. Used in Drying zone of Paper Machine. For high permeability range (700 – 1000CFM) being widely used on Paper Machines producing higher GSM Krafts and Board varieties. · Enhanced life due to higher caliper. · Good drying efficiency thus steam economy. · Facilitates ease of length alterations (if any) due to Spiral self-seam. · Stuffed variety of Spiral Linked Canvas can be used On Belt Presses / Sludge dewatering unit. Polyester dryer fabric is heat-set at exacting temperature and tension to give maximum operation stability. It is designed for use in solid/liquid separation, as well as sludge dewatering for vacuum and multi-roll belt presses. The unique spiral weave patterns offer rapid drainage and outstanding cake release. 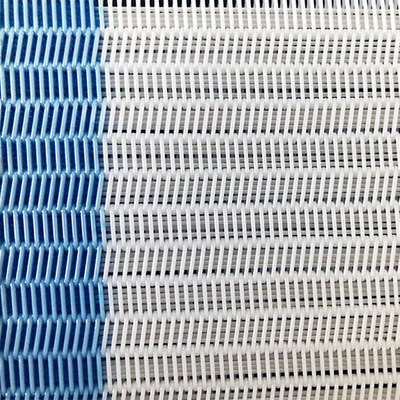 Polyester mesh fabric refers generally to the polyester fabrics woven with polyester fiber in spiral and heddle for various industrial uses in producing of paper, corrugated paper, paper for train fare, filtration and separation in environmental protection, pharmaceutical, mine, metallurgy, machinery, airspace and other fields. 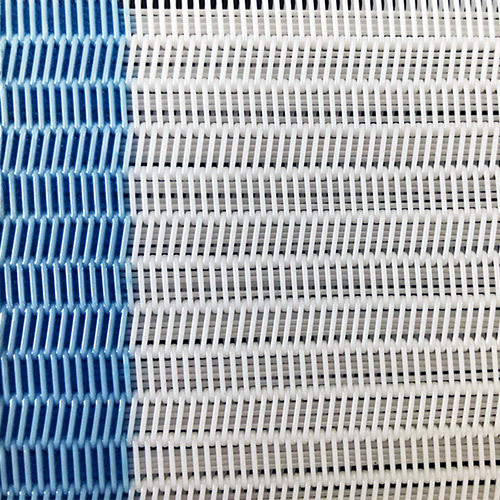 Polyester dryer screen mesh can be divided into three sheds and four sheds according to weaving patterns and it can be divided into one and half mesh, double layer mesh and flat dryer mesh according to varieties.It can be divided into inserting type, slotting type, slotting ring and spiral ring connecting types according to the different connecting types.Three-shed series one and half layer mesh is suitable for drying of paper under 70gram.Four-shed series double layer dryer screen is suitable for paper with a weight more than 70gram.4106 round thread screen and flat thread screen are suitable for thin papers with weight under 60gram.